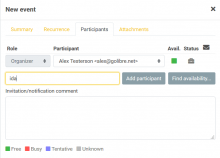 When you create an event and add some participants you have to type in all emails manually every time, even if you have invited the person already once. 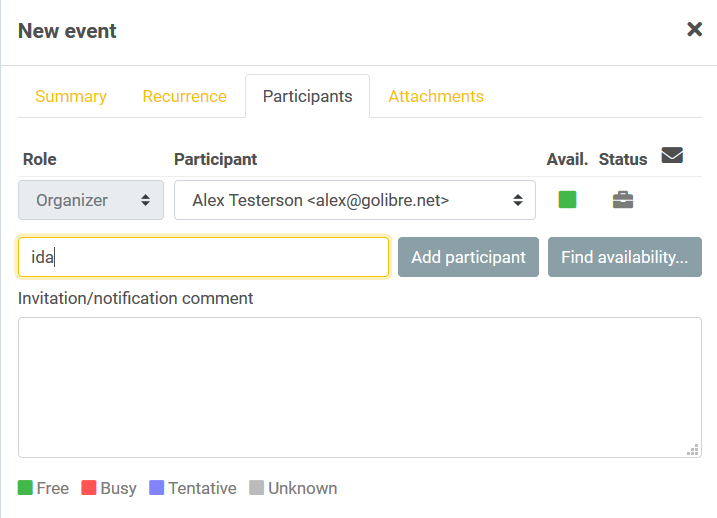 I expected the participant to be saved in the system, so the second time I want to invite the person to an event the email is already saved and when typing in the first letters of the email-address there is a suggestion appearing. you have to type in the email manually and completely every time you want to add this participant to an event. There are no suggestions, so you can no decrease the expense.